The state of North Carolina requires each driver to hold a minimum of $30,000 of liability insurance in the event that they are in a car accident. Often times, insurance companies do not encourage their policyholders to buy more than these minimum limits as their goal is to receive monthly payments without having to pay out big settlements for North Carolina car accidents. We recommend getting multiple quotes for additional liability coverage, because the cost for additional coverage is usually very minimal. If by chance you are hit by an uninsured driver or a driver with the lowest minimum coverage, you can keep yourself protected by purchasing uninsured motorist or underinsured motorist insurance coverage. For example, in the event that you are involved in a car wreck and you are burdened with medical bills and lost wages that exceed the defendant’s minimum coverage, the uninsured or underinsured insurance coverage you have on your policy will help to pay for an expenses that exceed that initial amount. One of the biggest problems encountered with cases involving North Carolina car accidents is when the defendant driver has the minimum liability coverage. Most insurance carriers are not at a high risk to try the case and will try to not settle the case due to the long time most trials take. It usually takes a year to 18 months before a trial date is reached once you file a lawsuit. Remember that no matter what verdict is reached, the insurance company will have to pay only the amount of the policy limit on the at-fault individual’s insurance coverage, along with any other applicable legal costs and interests which might be ordered by the court. As a result, more and more cases require an actual jury trial. Most clients are not able to afford the high costs of depositions and the costs of expert and filing fees to get their case prepared. On the other hand, the insurance companies have unlimited resources to defend these type of cases. Not all insurance plans are equal when it comes to car accidents. Reach out to Brown Moore & Associates to learn how to seek compensation. Here’s a classic example of this situation unfolding: An individual is injured going through a traffic intersection and this results in a major collision. As a result, the defendant suffered from a broken leg, cracked ribs, and multiple bruises to the torso area. The liability insurance carrier denied the claim and in return the plaintiff filed a lawsuit. During the mediation process, which is required on most civil cases within North Carolina before trial, the liability insurance carrier refused to pay anything. In contrast, the plaintiff wanted reimbursement for her medical bills of $22,000, her car damages of $9,000, and compensation for her pain and suffering. Once the trial started the defendant once again refused to pay anything for the settlement of the claim. The trial of the case lasted three days with the jury returning a verdict of $150,000 to the plaintiff. The at-fault driver, however, only had the minimum liability coverage required by the State of North Carolina, which is $30,000. The liability insurance carrier has to pay the $30,000 policy limit, as well as applicable prejudgment interest and partial costs incurred by the Plaintiff to have the case tried. This does not include any money to pay the plaintiff’s attorney’s fees. Unfortunately, many people continue to carry just the minimum policy requirements for automobile insurance coverage. At the offices of Brown Moore & Associates, we suggest that you take a few moments to review your personal insurance policy to make sure you and your loved ones are protected in the case of an auto accident. Liability coverage: This pays the damages due to property and bodily injury to others for collisions for which you are responsible. Collision coverage: This pays for a car that is damaged by a collision with another car or object and your deductible is required to be met. This coverage affords reimbursement for property damage in collisions regardless of whether or not you are at fault. Many drivers do not have collision coverage as it is usually more expensive. Med Pay coverage: This pays for medical and funeral expenses for bodily injury to a person covered under their insurance that has been in an auto accident. Uninsured/Underinsured motorist coverage(UM/UIM): Uninsured motorist coverage pays bodily injury damages when an insured driver is injured in an auto collision caused by another individual who does not have auto liability insurance. Underinsured coverage pays for damages when an insured driver is injured in an auto accident caused by another individual who has liability insurance, but the limits of that insurance are less than needed to fully compensate the injured victim. Umbrella coverage: This is a personal liability policy that provides additional liability coverage for your automobile, recreational vehicles, boat, etc. This is usually offered in million dollar increments. Rental coverage: This pays a specific amount when a car is rented while your main vehicle is undrivable due to a loss covered by your collision coverage. In North Carolina, the law requires that all drivers carry a minimum of $30,000 per person and $60,000 per accident for liability for the injuries caused in car accidents. This amount is oftentimes not enough to really protect our assets. For instance, if you are at-fault for a car accident where other(s) are seriously injured, your insurance is only required to pay that $30,000-$60,000 for all involved in the wreck. If those injured are extensively hurt, the hospital bill alone could exceed your minimum coverage protection. In turn, you and your family could be subjected to a potential judgement for the excess bills. Sometimes, in these situations, they can even expose your personal assets and real estate to pay for the excess. To ensure you are adequately protected from having your personal assets and property at risk, you should make sure you purchase adequate liability insurance, which will often be in amounts greater than the minimum required by North Carolina law. Uninsured motorist or underinsured motorist (UM/UIM) insurance coverage protects you and your loved ones if you or a loved one is hurt in a collision for which another driver is at fault. This insurance comes into play if the at-fault driver has no insurance or does not have enough insurance to cover your injuries. It is very common to see the at-fault party only carrying minimum liability insurance and it not being sufficient for the damages and injuries. UM/UIM coverage is inexpensive, and is an easy way to help protect yourself and your family members. Our legal staff cannot stress enough how important it is for you to understand your insurance coverages and review them. Contact your insurance agent and ask them questions and ask them for detailed information to make sure you are properly protected. At Brown Moore & Associates, our firm handles a large variety of personal injury cases involving car accidents. We have years of experience working with North Carolina residents that have been involved in car accidents, both large and small scale. 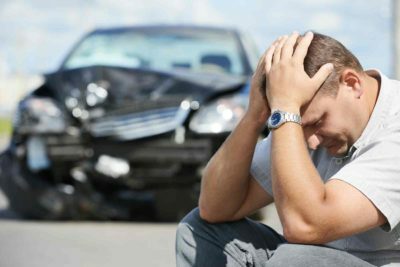 Our auto accident attorneys understand how to deal with tough insurance companies and their defense teams. We are here to fight for your rights and get you back on the road to recovery. Call our office today to inquire about a free consultation or for any legal questions pertaining to a recent auto accident.